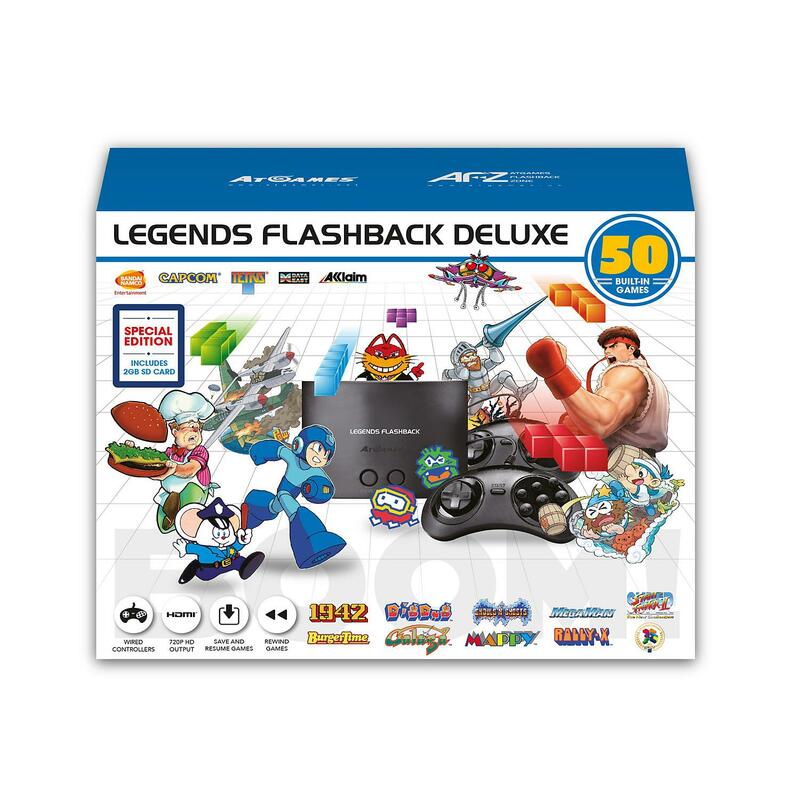 What's the difference between the Legends Flashback, and the Legends Flashback Deluxe other than an SD card? I think that's the only difference. Seems like some retailers get special deals, like how Sam's also got a slightly different version of the Intellivision Flashback a few years ago. Under $30 seems like a nice price for this, especially if you flash the firmware and load it up with good Genesis games. Looks like they have a nice price on the Atari wired console, too. For those of you who had problems in the past getting the right SD card for your flashback systems, this one with the card works right out of the box, so there is no extra formatting that needs to be done.